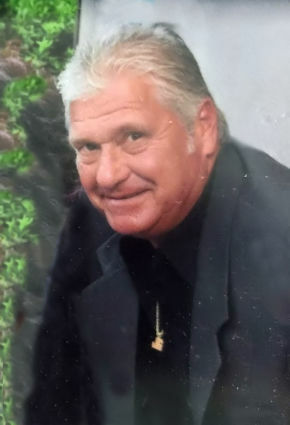 Gerard Graff, age 60, of Elmwood Park, NJ passed away suddenly on Wednesday, April 10, 2019. Born in New York City where he resided until the age of nine, he spent most of his life in Fair Lawn before moving to Elmwood Park 20 years ago. A 1976 graduate of Fair Lawn High School where he was a standout athlete in football, basketball and baseball, he shared his talent with the community serving as a longtime volunteer and coach with the Fair Lawn All-Sports Association and the Fair Lawn Football Association. His passion for sports led to him becoming a certified NJ official in football, basketball and lacrosse. A sports enthusiast, he was a loyal fan of the NY Yankees and Dallas Cowboys. Jerry will be remembered for his devotion to family and the community he loved immensely. He was a truck driver with Bergen Industrial in Elmwood Park for over 25 years. Beloved husband of Stephanie (Engell) Graff. Loving and beyond proud father of Brittany Graff. Cherished son of Gerald and Angela (La Rocca) Graff. Dear brother of Jim, Rich and Dan Graff. He is also survived by many loving nieces and nephews. Memorial visitation Monday, April 15, 2019, 3-7 pm with a 6:30 service at Vander Plaat-Caggiano Funeral Home, 13-31 Saddle River Road, Fair Lawn, NJ. In lieu of flowers, donations for the education fund of his daughter, Brittany would be appreciated. Please make checks payable to “Rich Graff” as custodian for Brittany Graff and mail to Rich Graff, C/O Vander Plaat-Caggiano Funeral Home, 13-31 Saddle River Road, Fair Lawn, NJ 07410. Sending prayers and condolences to the Graff Family. Gerry was a Fair Lawn legend, both on and off the field. I have many fond memories of Gerry growing up. He was always protective and good to me. Rest In Peace Gerry and God Bless the entire Graff family. So sad! To Jerry's family : we were blessed to have such a great person in our lives! I had the pleasure to play with and against Jerry in sports, he was a coach to many Fair Lawn youth, and he was a mentor to myself and many other high school officials. His influence on many people in Fair Lawn and other communities in NJ will leave his legacy for years to come. One story: My first High School varsity Football game with Jerry , I was the Line Judge. This play had the QB roll out to my side and throw a pass in my zone The QB got hit as he released the football and I threw a roughing the passer flag. Jerry came over to me and said : what call did you have and I replied "Roughing The QB!! Jerry put his arm around me and asked three questions: Did the receiver have two feet in bounds? Did he juggle the ball ? Did he catch the ball? I stood looking at Jerry who had all the answers and said " If its okay with you I am going to wave this flag off! Ii said its okay with me! The best lessen of many from Jerry to "officiate" in your area. Brittany, your dad talked about you all the time about how you made him so proud and happy. Jerry you are missed sorely already, Rest in Peace my friend . So sad to hear this news. I knew him as a referee for basketball and lacrosse. Always smiling, fair and wanted the kids to learn to play the game the right way. His stories and jokes will be missed. May he rest in peace and may his family enjoy all the their memories. Truly a gentleman and great guy.